Now for the exciting News I promised. 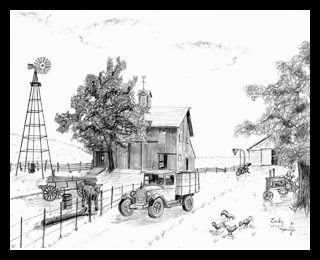 Spokane Valley Heritage Museum has purchased the rights of this print to be used on T-shirts for their big Heritage Show this year. See the flyer below. Sounds like a lot of fun! 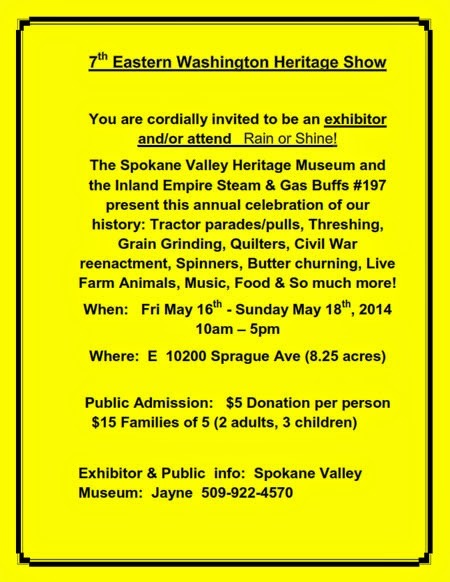 Hope some of you can attend the show! I will post a picture of the T-shirt soon. Four foot Mother's Delight quilt block with color changes and the four foot Patroitic quilt block that was pictured in an earlier are ready to be picked up. They will end up in Bevidere, IL. 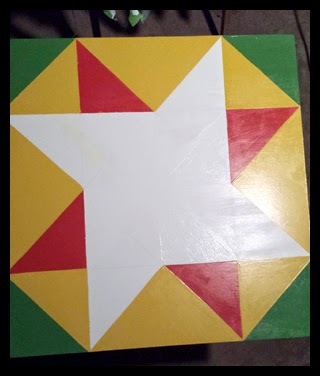 This two foot Star Puzzle Barn Quilt Block will be mailed to Asheville, NC Monday! I have almost finished 2 more two foot quilt blocks that will be ready to sell next week. I try to keep 2 or 3 on hand for the people that needs one now for a gift or just can wait to get their own! 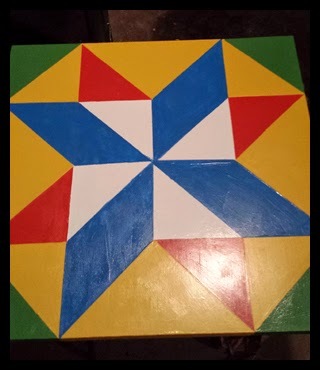 Star Puzzle block has a few more coats of yellow then blue and white. I am getting closer to finishing these quilt blocks. Next week I should have some exciting news on my blog! I am finding out all the details soon. 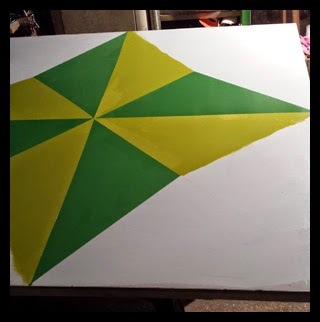 Mother's Delight has 2 more coats of ball game green then on to the next color. Sorry for the cropping on this photo. I just started 2 more block in my Barn Quilt Studio and I do not have room to get the whole block in the photo but that is a good problem. 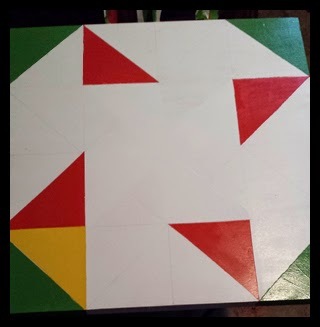 After all these quilts are done I will be moving to my outdoors studio to paint an 8 foot Patriotic block. Star Puzzle two foot wooden quilt block is coming along nicely. I am just starting the yellow. Only 2 more colors left. Then the block is in route to NC. 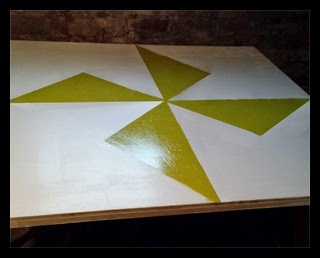 Mother's Delight four foot barn quilt has all the coats of willow green paint and ready to start with ballgame green paint. 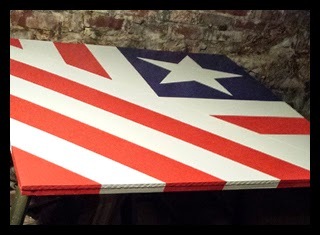 Patriotic four foot block is done and drying.